As Palatine Township Historian I am pleased to offer for sale three fine works. Having produced them on a volunteer basis during the last seventeen years, I hope you will support my efforts and consider purchasing them. 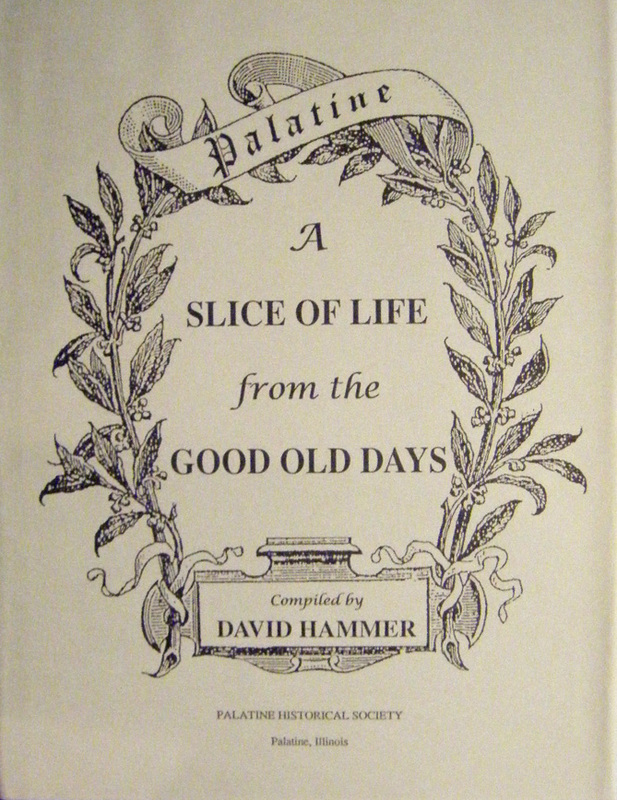 A Slice of Life from the Good Old Days is a compilation of local news stories gathered from the Palatine Enterprise and Cook County Herald newspapers from the year 1901. These newspapers covered the small country towns northwest of Chicago, Illinois. 600 pages long and arranged by families, it takes the reader back to horse and buggy days. The book won a Certificate of Excellence award from the Illinois State Historical Society. Hardcover price: $30.00. 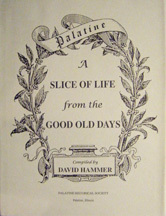 For more information please call the publisher, Palatine Historical Society at 847-358-8334. 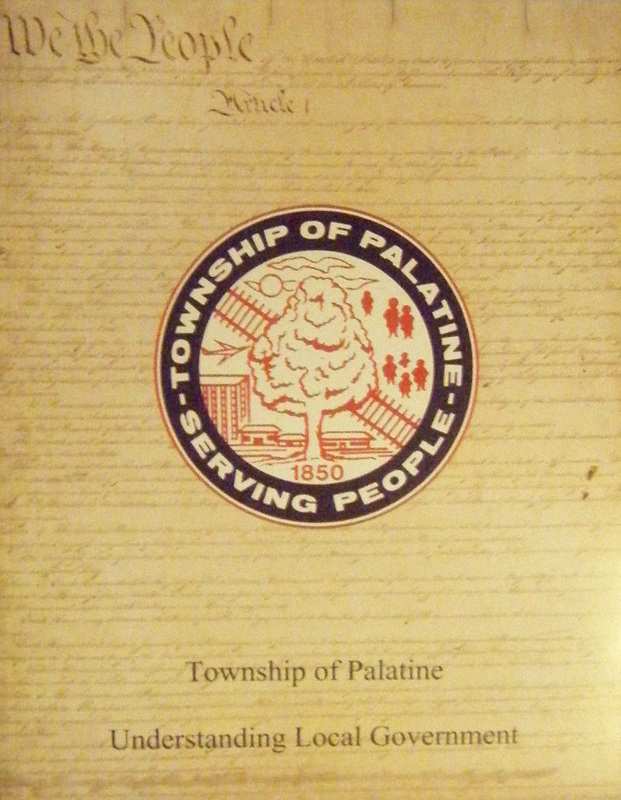 Township of Palatine: Understanding Local Government describes township government in Palatine, Illinois from its inception in 1850 to the present time. Eighty pages long and lavishly illustrated with maps, tables and photographs, the book also won a Certificate of Excellence. Softcover. A $5 donation to the Palatine Food Pantry is appreciated. For more information please call the publisher, Palatine Township at 847-358-6700. 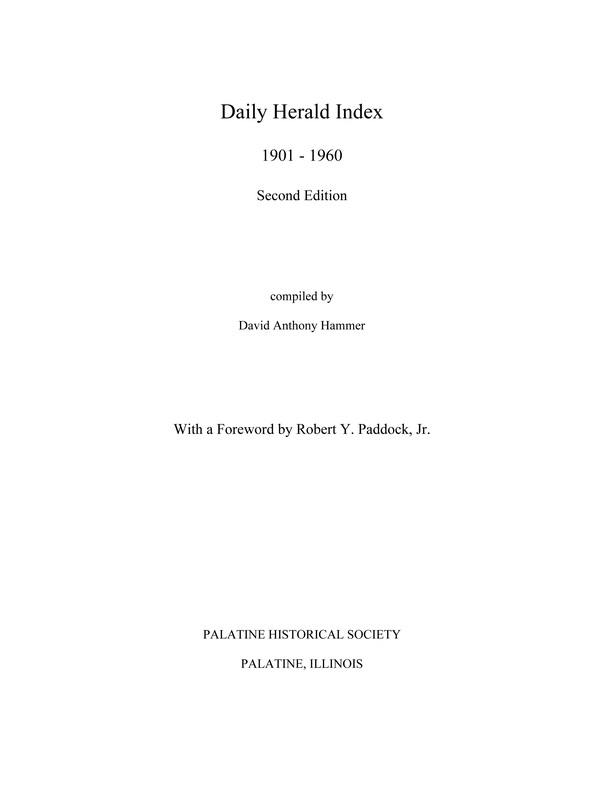 Published in 2004, the newly expanded second edition of the Daily Herald Index 1901 - 1960 contains 70,000 headlines on 20,000 subjects. Subjects include persons, places, organizations, businesses, churches and schools. The two-volume work is directed mainly to libraries and researchers. Hardcover price: $150.00. For more information please call the publisher, Palatine Historical Society at 847-358-8334.